Home Entrance Exams UPSEE UPSEE 2019 Result – Get The Direct Link Here! 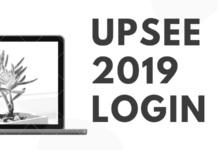 UPSEE 2019 Result – Get The Direct Link Here! 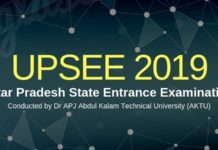 UPSEE 2019 Result – Dr. A.P.J. 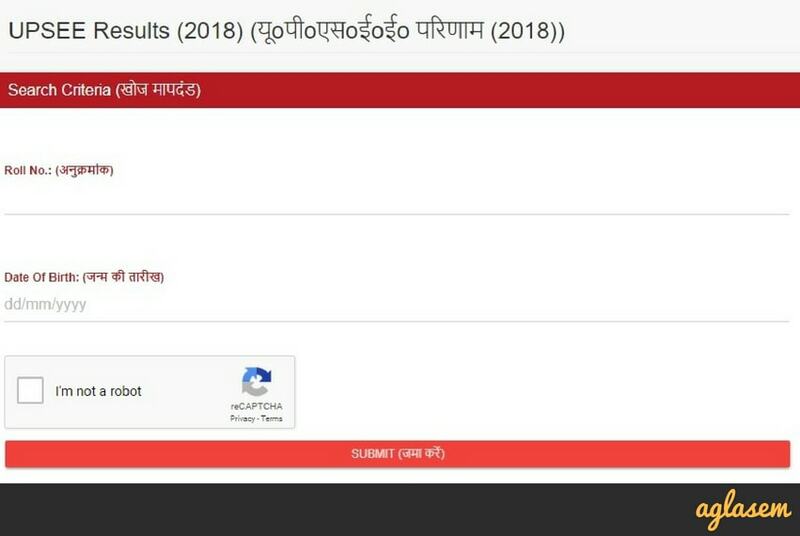 Abdul Kalam Technical University, Uttar Pradesh is responsible for announcing UPSEE 2019 Result over its official website i.e upsee.nic.in. Usually, the UPSEE result is announced by the last week of May, every year. 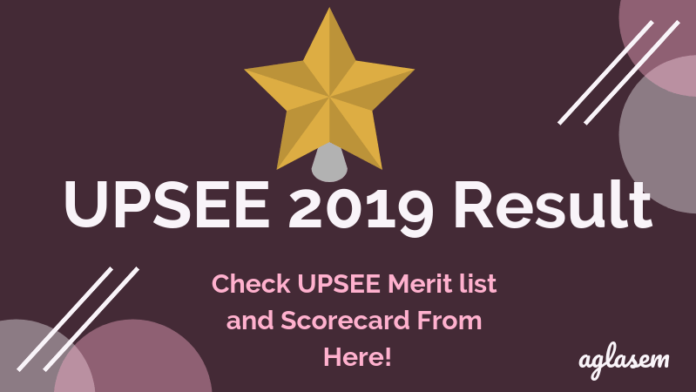 AKTU releases the UPSEE 2019 scorecard and merit list in online mode only. Further on the basis of the UPSEE 2019 scores, a candidate shall be called for UPSEE 2019 Counseling round. 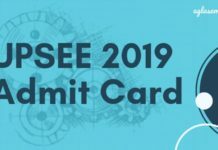 To know more about UPSEE 2019 Result, keep reading! Last year, Noida boy Aditya Singh topped UPSEE by securing 572 marks. Over 1.43 lakhs of candidates qualified for this exam, among 1,56,452 candidates who had appeared for it. Candidates can keep a check of the UPSEE 2019 Result related events, from below. Step 1: Click on the above-mentioned link to get at the result portal. When you click it, you will be taken to the login page for results. It looks like the image shown below. Step 2: Login. Roll number and date of birth will have to be entered. Then click the captcha icon. Wait till it becomes a tick mark. Then log in. After UPSEE 2019 Result has been declared, a candidate can send their response sheet to be re-evaluated by paying off Rs.5000( as per last year’s record), within normally 7 days of UPSEE 2019 result being declared. The reevaluation request needs to be submitted in favor of the registrar, Dr. A.P.J. Abdul Kalam Technical University Uttar Pradesh, Lucknow (U.P.) 226031 in writing. Primarily, the overall UPSEE marks of an aspirant will be calculated in the exam. To qualify, one must get marks equal to or on par with the cutoff marks to be eligible for the counseling round. The merit-list will feature the list of qualified students in order of merit. One can view Merit-Position, Overall Marks and Marks in each subject in the merit-list. All of these 3 things are released nearly at the same time. On this basis, a candidate is required to appear for UPSEE 2019 Counseling round at an allotted time and date and along with a list of documents/details. Marks in Mathematics will be preferred. If there still exists a tie, then, marks in Physics will be preferred. Further tie would result in preference of marks in Chemistry. Ultimately, senior aspirants will be given priority. Marks in Biology will be preferred. If there still exists a tie, then, marks in Chemistry will be preferred. Further tie would result in preference of marks in Physics. Marks in Drawing Aptitude will be preferred. If there still exists a tie, then, marks in Mathematics will be preferred. Further tie would result in preference of marks in Aesthetics. Marks in AG-I will be preferred. If there still exists a tie, then, marks in AG-II will be preferred. Further tie would result in preference of marks in AG-III. B.Des./BHMCT/ BFAD/ BFA/ MBA/ MCA/ Lateral Entry: Senior candidates will be placed higher in rank. The aspirants featuring in the final UPSEE 2019 merit list will be called for the counseling process where they will be allotted seats on the basis of their order of merit in one of the affiliated colleges under AKTU. There will be five subsequent rounds of counseling which will occur one after another to fill the vacant seats left from the previous round. The procedure to apply for the UPSEE 2019 Registration and Choice Filling Schedule for each round is similar. First, you will be required to register, pay the registration fee and upload the scanned images of the necessary documents. Next, the documents will be verified by AKTU at the main campus. First-round choice locking can be done after you have filled your desired choice. On the basis of performance of an aspirant, the seat shall be allotted to him/ her. Ultimately, you will need to make your mind whether to freeze the seat or let it go to the other candidate with the rank next to you. Those who complete the counseling process and document verification will be allotted seats. For further updates keep following our page.